Vitaly Friedman: "Share what I learned and explore what other developers are doing"
In the run up to Frontendconf 2018 we caught up with our workshop hosts. 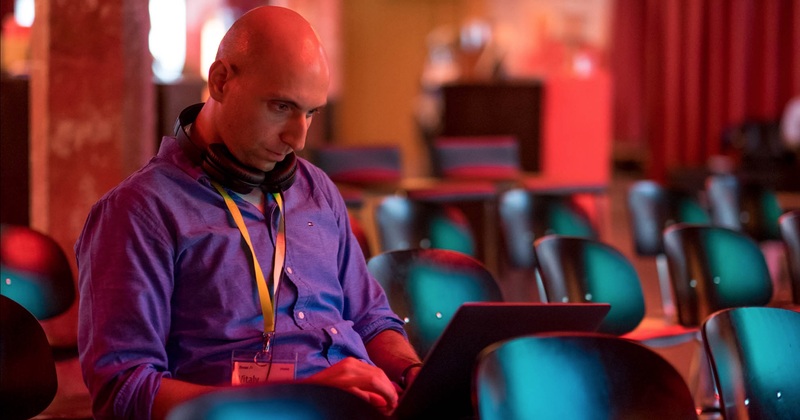 Read up on what excites Vitaly Friedman about his work, the workshop format and Zurich. You can sign up to his [workshop New Adventures in Responsive Web Design here](https://frontendconf.ch/tickets). FEC: What issues are currently dominating your work? Vitaly Friedman: Mostly designing systems, performance issues, accessibility and responsive interface design. How do you stay on top of newest developments? Mostly via newsletters, Twitter and conversations with fellow designers/developers. What is the best UX/Frontend trick you’ve recently learned? I’ve been playing recently with max-content, min-content, fit-content with CSS Grid layout. It proved to be remarkably useful in creating responsive experiences without ever needing to use a media query. Also, for more complicated things, grid-template-areas are fantastic for ASCII-alike syntax where one can just adjust the ASCII within a media query. Ah, and I didn’t know that generated content pseudo-elements (::before and ::after) are treated as grid items! How to make sense of CSS Grid Layout and its capabilities and the strategy of how to use CSS Custom Properties! You’ve been to Zurich’s Frontendconf a few times. What excites you about the workshop format this year? Very, very excited to be running the workshop and share what I learned and explore what other developers are doing! What place in Zurich are you looking forward to seeing again? I have my favourite coffee shop from the first time I came to Zurich: Rennweg 48, 8001 Zürich, Switzerland — not because I love Starbucks or because it’s the best one. But I wrote a major chunk of a book chapter over one evening there, and I also set up one of our Mystery Riddles there. For me it’s just a legendary place where I have my own spot.